To publish a website online is an essential part of setting up the website. This includes uploading of files to the server where the website will be located. You can do this quickly by accessing the server via FTP. The users won’t be able to connect to the host server via the FTP client if they don’t have the rights to access the server. These rights to access the server via FTP are assigned to the users in the form of FTP accounts. 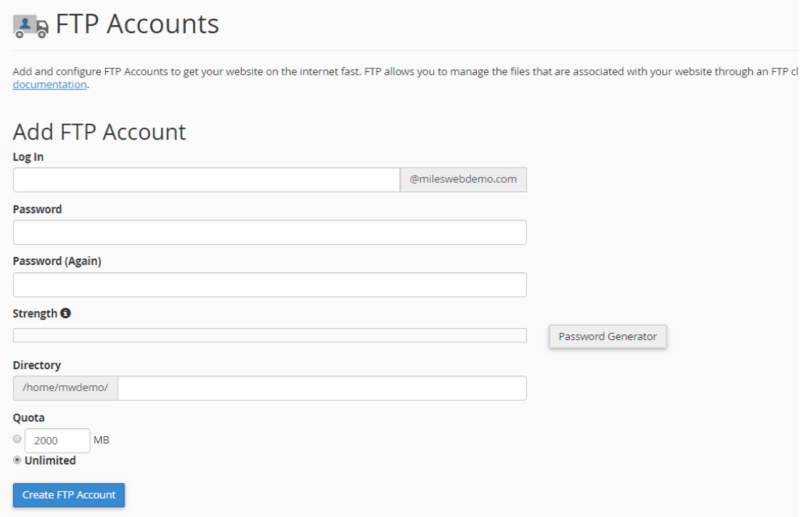 Each FTP account comprises of a unique username and password with which the users can access the files. 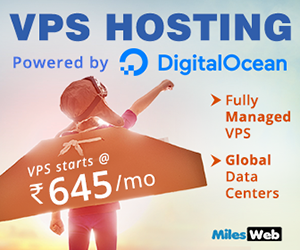 When you sign up for a hosting cPanel account or create an addon domain, an FTP account is automatically created in cPanel. This means by default, there is already an FTP account in your cPanel. You can use your cPanel username and password to log in to this account. But it is also possible to create new FTP account for giving access to other users without giving them the credentials for cPanel login. You can also assign each user with different levels of access by allocating the user to a specific directory for each additional FTP account created. 1. 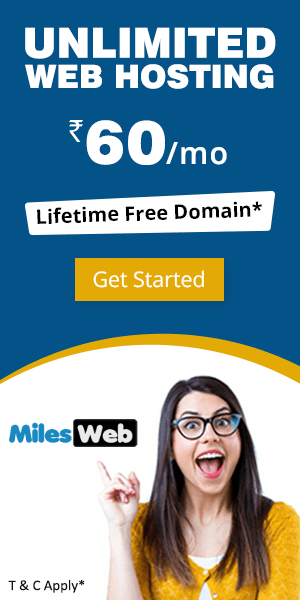 Log in to your cPanel account with your username and password. Password: You should enter a strong and secure password for your FTP account. Use the Password Generator for created a unique password. Password (again): Enter the same password as above to confirm the spelling. Strength: Here you will get to know how secure your password is. The strength levels from Very Weak to Very Strong will help you to determine this. Directory: Your FTP account will be limited to the directory you will mention in this field. An assumed directory will be auto-filled by cPanel depending on the FTP username. You can delete everything after public_html/ and mention the directory you want the user to access. You can also type a single / with which the user will get access to your home directory (anything outside of the public_html folder). Please Note: You can decide on the level of access for a user. With this the FTP user won’t be able to navigate outside of the specified directory. But, the user will get an access to all the files and subfolders within that folder. Quota: You can give a number for the disk space to be assigned for an FTP user or set it to Unlimited. That’s it! 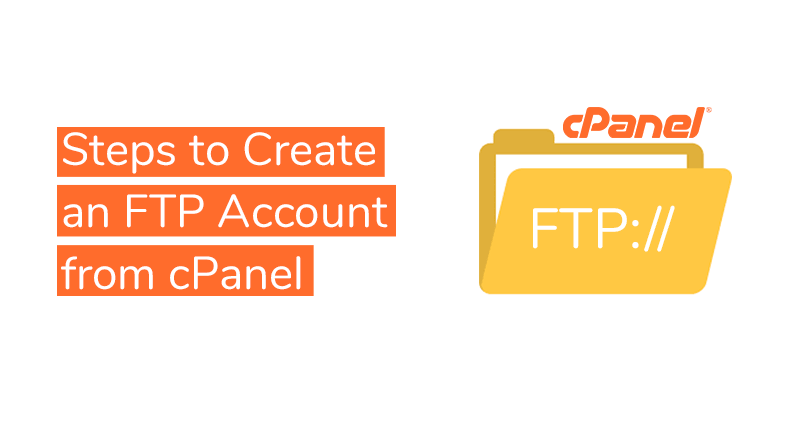 This is how you can create an FTP account from cPanel in simple steps. What is Ruby on Rails Hosting ?